Nutrition, physical activity and behavior choices are very important when it comes to a child’s health. At CHOC Children’s, we work closely with children and their families to develop healthy lifestyles and prevent serious conditions such as obesity, diabetes and heart disease. All classes listed below are free and available to children and their families. Join us for this interactive class to learn about healthy habits for the whole family. This class is FREE for the entire family and focuses on making small changes that can offer big health benefits. To register or for more information, please call 714-509-8455. Kids Fit Club is a series of two interactive classes that teach changes in diet and physical activity. These classes are FREE for the entire family. Classes are offered in both English and Spanish. To register or for more information, please call 714-509-7323. PODER is an in-depth program with six interactive classes that are filled with lessons, games and fun activities that teach healthy eating and behaviors. Prizes are awarded for participation, completion of homework and attendance. These classes are FREE for the entire family. Classes are held on various days at many locations throughout Orange County. Most classes are offered in Spanish, but some English classes may be available. To register or for more information, please call 714-509-7323. “Looks can be deceiving. It can be hard for parents to tell if their child is obese,” says Dr. Vaquero Solans. 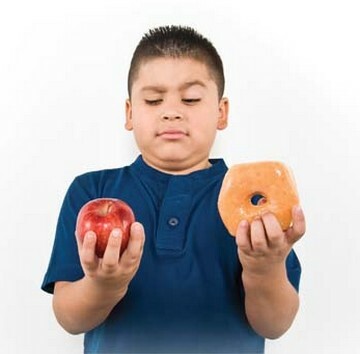 At a child’s regular check-ups, the pediatrician will assess a child’s weight based on body-mass index, which differs for each age and gender. Proper nutrition and exercise help keep kids fit, says Dr. Solans, who encourages parents to set a good example. 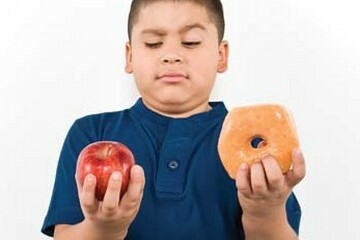 Learn more about childhood obesity.